Species: A group of related organisms having common characteristics and capable of interbreeding. A series of postings on coho recovery efforts along California's North Coast. Get a behind-the-scenes look at how one hatchery attempts to re-build lost runs of endangered coho salmon. In rivers with multiple trout species, a set of complex interactions amongst each species will determine where they hold, feed, and spawn. Generally, brown trout are the most dominant in these interactions due to their innate aggression and larger size. 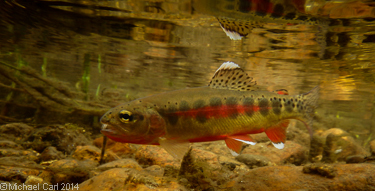 In streams, browns tend to inhabitat the bottom in shallower areas with slower water and move cover, rainbows move higher in the water column in areas of faster water - often mid-stream - and cutthroat hold in colder water near or in smaller tributaries. These tendencies result from competitive pressures more than habitat preference given each species will inhabit the entire stream environment if not threatened. In pursuit of the California Heritage Trout Challenge or just looking to chase down some native trout in a remote and wild place? Catch, photograph, and release six different forms of California native trout from their historic range and California Department of Fish and Game will send you a personalized certificate featuring the art of Joseph Tomelleri (similiar to this one). 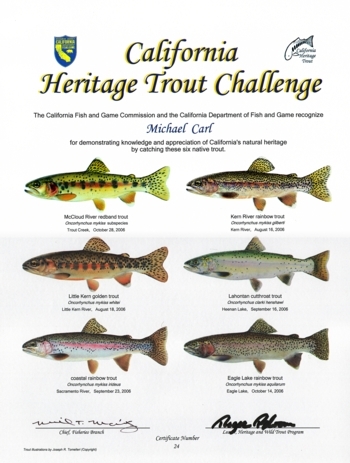 Further information about the California Heritage Trout Challenge can be found here. 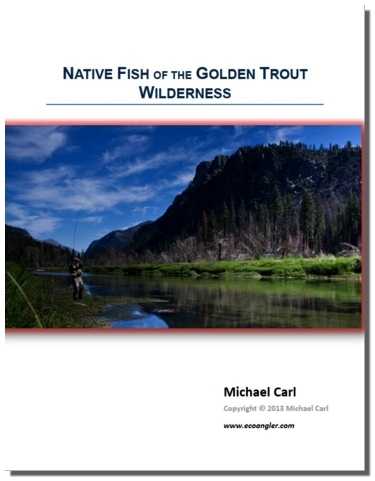 California's Golden Trout Wilderness is home to three unique forms of native trout, and you'll find descriptions for each of these trout in my new Ebook - Native Fish of the Golden Trout Wilderness. For thousands of years, a population of rainbow trout adapted and evolved in the drainages of the Golden Trout Wilderness. Since then, three unique subspecies of rainbow trout, collectively referred to as golden trout, emerged within the upper Kern River basin. These golden trout are: California golden trout, Kern River rainbow trout, and Little Kern golden trout. 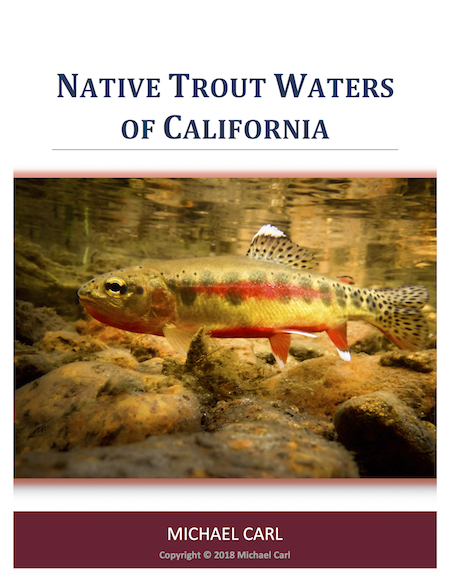 Whether your goal is completing the California Heritage Trout Challenge, or just finding some of the Southern Sierra Nevada's most scenic stretches of water to wet a line, Native Fish of the Golden Trout Wilderness will help you reach your goal. An Adobe PDF document will be made available at the end of the purchase check-out. Select Return to the Ecological Angler to view your copy of Native Fish of the Golden Trout Wilderness. Please allow enough time for the large PDF file to download. While downloading - do not navigate away from the location. Yellowstone National Park and the surrounding backcountry is the heartland to it's namesake cutthroat trout. The EcoAngler looks at this native trout and a few of the streams it calls home.